Analyzing Optional Rewards In Donkey Kong Country – What's in a Game? 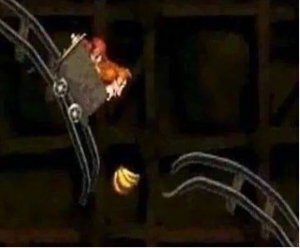 The Donkey Kong Country series is a series of platformers built around the idea of optional content, with secrets being the star of the show. Optional content is an excellent tool for allowing players to stay in flow in your game because it will enable players greater choice in what activities they are doing and a way of adding challenge layering – providing difficulty for different player types. However, to get players interested in optional content at all, there had better be some good rewards for doing it. 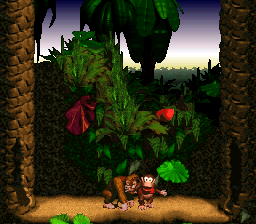 Analyzing the types of rewards in the DKC series can help us understand what types of rewards compel players to continue being immersed in our games as well. 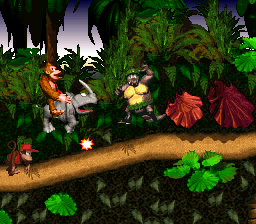 Let’s start with the original Donkey Kong Country. Extra lives – In the form of intrinsically-valued Life Balloons or items that ultimately lead to lives like Bananas, Animal Tokens, or Kong Letters. Of these, lives is by far the most common. Unfortunately, lives don’t have much value because they don’t carry over saves. There are some tense moments near the end of the game where it could matter since Candy’s save points must be reached in the world before you can save. In this situation, if you can foresee it, you’re more likely to grind them in an early level than find them through completing extra challenges. Juice is perhaps the reward that is the most compelling in the game, especially at release in 1994 when the graphics were top notch. Juicy game feel is the satisfaction that comes from a game pleasing your senses. Maybe it does some awesome animation (bananas rushing to the top of the screen). Maybe it’s a pleasant sound effect (that nice little sound bananas make… mmm delicious). This is juice, and it makes games feel fun. From collecting things like Life Balloons, bananas, Kong letters, and animal coins. For example, seeing the Kong Letters become a new life is good-ol’ fashioned juicy fun. Controlling an animal buddy itself is very juicy. Can you remember the sound of Rambi smashing into an enemy? Hoo boy! Every bonus room gives the player completion points without telling the player. Completing all bonus rooms in a level will cause an exclamation point to appear on the level name. It’s the only tracked optional reward in the game. Completion percentage is vital because it’s the only thing that makes bonus rooms meaningful from a completionist’s perspective. It’s worth noting that in a 101% speed run, players will enter every bonus room, but then usually exit out as fast as possible. That’s because all you need to do to get the percentage is enter the room, not complete the challenge (if there is one). Several levels have ways to skip large chunks of them. Finding these are great for speedrunners or just high-skilled players that want to skip slow sections at the beginning of the game. I think this is a fabulous reward in the game because of the way it helps speed runners and skilled players that want to take advantage of it. Modern 2D platformers tend to avoid having this type of reward, and I feel that’s a big miss. The most exciting reward, by far, is an Animal Crate because it changes the nature of the game for the rest of the level. Animals act as powerups (mostly). They give you extra health and an ability that will change the way you play, often making it easier to reach certain places or defeat enemies, with minimal hindering of your abilities (except Expresso, who can’t jump on enemies). It’s important in this game that the Animal Buddies are a net positive to your abilities because there are already not enough meaningful rewards and this keeps animals juicy rewards. Still, I wonder what the game would be like if more animal buddies had pros and cons to them so the player would make interesting decisions about whether or not to ride them. Another extension would be if there were multiple animal buddies in a level and you had to choose which you wanted to play with. Give the player interesting decisions to make! Kong Barrels are similar rewards in the same sense as animal buddies; they are more common and thus less meaningful. Getting a Kong Barrel will make sure you can use both Kongs, ensuring you can be hit twice and give you the ability to tag-team out, a meaningful choice between the strong, but slow Donkey Kong or the quick, but weak Diddy Kong. This is the defining interesting decision of the game and deserves its own blog post in the future. Success is a very intrinsic reward that varies from player to player. Success at its heart is overcoming some challenge of some form whether it’s finding a secret, overcoming a platforming or action obstacle, or a puzzle. Success for optional content tends to be where DKC is lacking. Several bonus rooms either can’t be failed or are luck based, which limits the amount of success you can feel. The search for a secret/bonus room could give that feeling of success if it’s challenging to find. Unfortunately, there are several that are unfair to find. For example, for some, you just have to drop off the screen in the right place, with no real hints. There’s a fine line between an obvious secret and an unfair secret that’s hard to get right. Still, some of my favorite moments of the game are what I call the “Simple Items in Dangerous Places” challenges which I will cover in a different blog post. It’s a great example of how to add difficult content for high-skilled players to keep them in flow while keeping low-skilled players from wanting to take the risk. Simple items in dangerous places! Are you bold enough to risk everything? 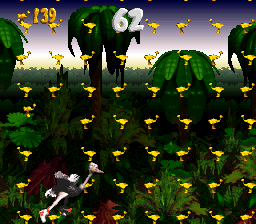 For its time, DKC was pretty good with rewards by using juicy game feel, lives, and animal buddies. Nevertheless, it remains limited in the types of players it attracts to its optional content. Stay tuned to see how DKC 2 catered its rewards to multiple player types. Kingdom Hearts: What Happened to Tech Points? Follow: Twitter, Facebook, or Monthly Emails!